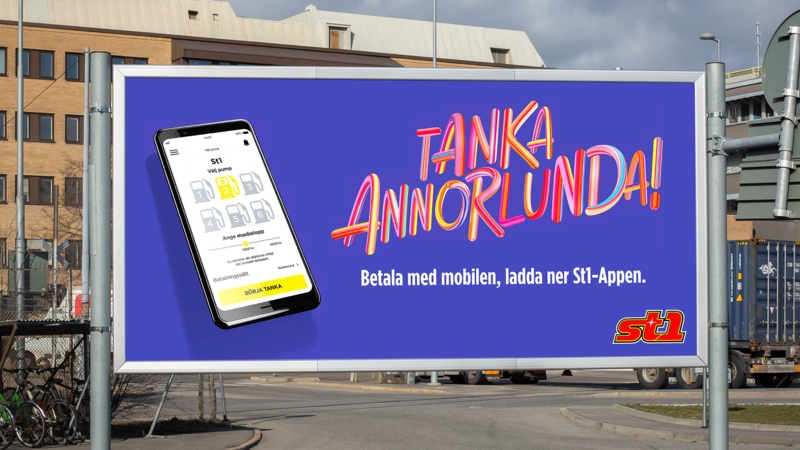 The ongoing campaign of St1’s app Fuelpay continues! 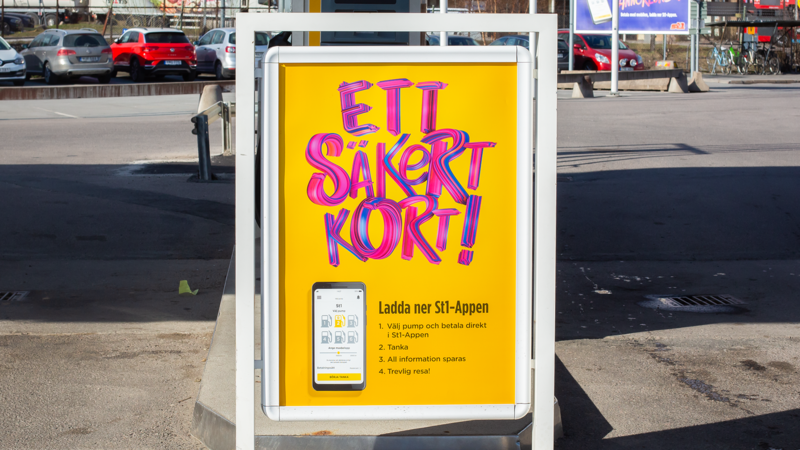 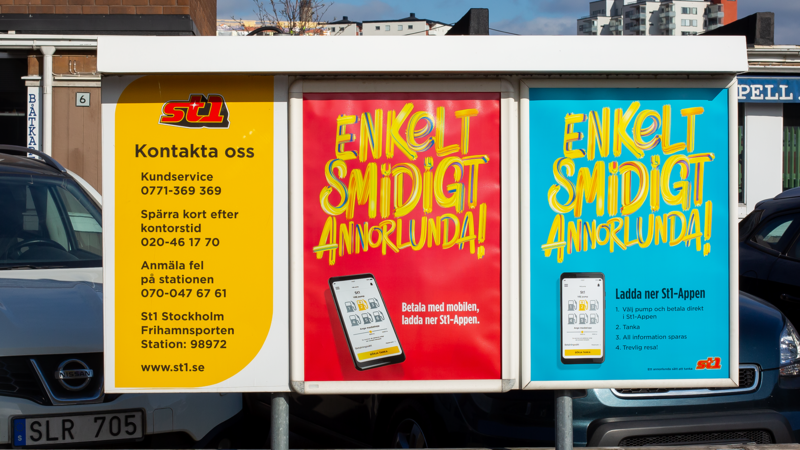 This time through vibrant, colorful and quirky billboards and posters at every St1 station in Sweden. 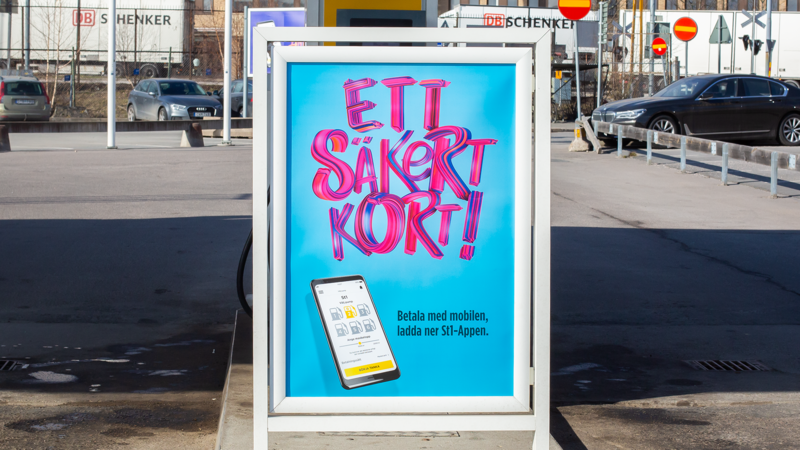 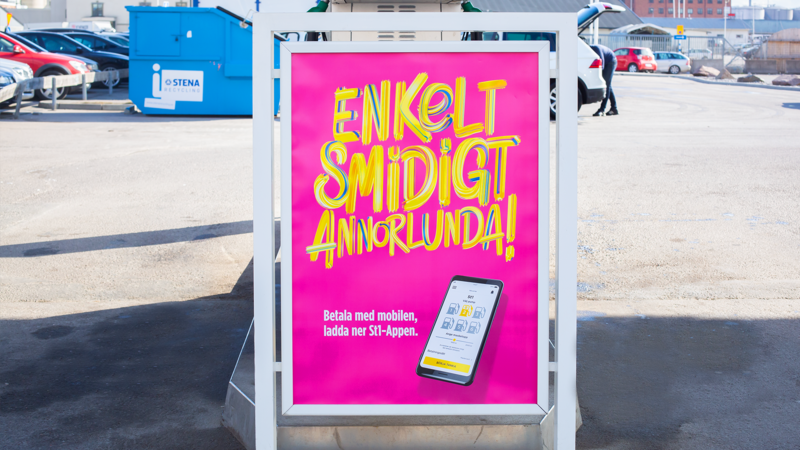 With a fun specifically designed message on each of them, they stand out while informing customers of the many advantages of using your mobile to pay for you fuel.